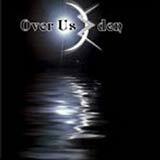 Over Us Eden is a relatively new female fronted European band playing a mixed bag of thrash, hard rock, and melodic metal. The band members have broad backgrounds in the music industry, dating back to the late 1980's. Members of Over Us Eden have previously been members of bands such as Axe La Chapelle, Joker, Living Death, Asphyxia, Nemesis, and others. All members of the band bring an impressive history with them to the table. With this vast experience, Over Us Eden have managed to create a sound that pulls together their many influences into something new and refreshing. This album retains a consistent high level of quality from beginning to end. Each track is well constructed and delivered with great passion. The band is able to switch moods from song to song. You will find songs such as Deep Cortex that have an angry, aggressive quality derived from the Bay Area Thrash scene of the 80's. There is also a steady diet of powerful heavy metal tunes as well as hard rock oriented tunes. The common thread throughout the album is the use of thrashy, staccato riffs. David Dell and Uli Wollgarten form a relentless dual axe attack. They provide us with plenty of fast, yet precise riffs not to be outdone by the equally precise rhythm section. While the guitar work and the drumming is impressive, the standout performance of this album has to be vocalist Magali Luyten. She has a powerful voice that comes across with authority. Her voice is slightly raspy in nature, which fits very well with the aggressive and energetic guitar work. So as you can see, Over Us Eden consists of some very talented musicians. I would have liked to have heard stronger melodies throughout the album. There are a few catchy moments, but when the album is finished, there aren't any songs that sink into my mind after the album is finished. Don't get me wrong though: you will appreciate each song based on the technical skill and diverse moods alone. In my opinion, a stronger melodic quality could be the final ingredient needed to jump from a "very good" album and a "killer" album. Not bad for a self financed debut album. After listening to this album, I would be very surprised if this band doesn't have a record deal as a reward for their efforts. There is too much talent delivering a fresh sound that cannot go unnoticed for long. With the financial support of a record company, and the valuable experience the band has built with this debut album, I see a bright future for this band.